It happens every year—winter seems to creep in out of nowhere, leaving homeowners scrambling to get their properties ready for the ice, cold and snow.  And, on our end, that means a backlog of calls from homeowners whose water heaters aren’t working quite right—and that’s leaving them feeling the chill. This year, plan—and act—ahead. While our expert team is always here to help, going even a few hours without hot water can be a challenge. With these five simple steps you’ll ensure your system is ready for even the chilliest winter days and nights. Traditional water heaters are insulated to ensure greater efficiency when it comes to heating water up and keep it at the right temperature. However, in the case of these water heaters as well as tankless ones, water travels through pipes which can cool down water significantly, especially when it’s cold out. The simple solution? In your have a tanked system be sure to insulate your water heater and your pipes—pipes only if you’re dealing with a tankless model. Insulating pipes can keep water from freezing when the temperatures drop below the 30s. While it sounds complex, this is actually a very easy add-on—a simple pipe sleeve can often do the trick and keep pipes from freezing. Again, your water heater tank should be insulated, but it’s definitely worth a quick check. If yours isn’t insulated or insulated properly, an insulative “blanket” can keep your unit from freezing while ensuring greater efficiency and safety. While we aren’t advocating picking up your water heater and moving it all over, we are suggesting double checking its placement—specifically, is it in a heated part of your home? We’ve seen countless water heaters in chilly garages, drafty basements and, even, outdoor closets or sheds. In climates that stay warm year-round, this might be passable. However, if your area ever experiences colder weather these probably aren’t the best locations. Instead, have your water heater installed in a heated area of your home or office, or be sure to added extra insulation to the heater and the pipes. 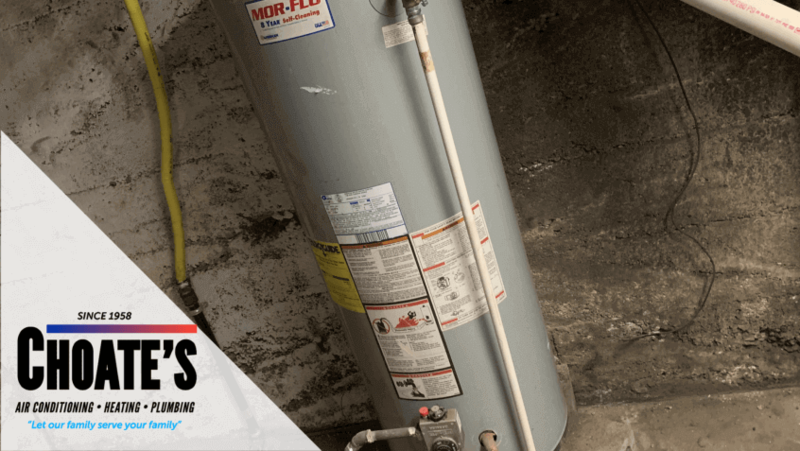 Check any and all vents and exhausts on your water heater, looking for anything that could cause blockages—leaves, debris or, even, small animals. 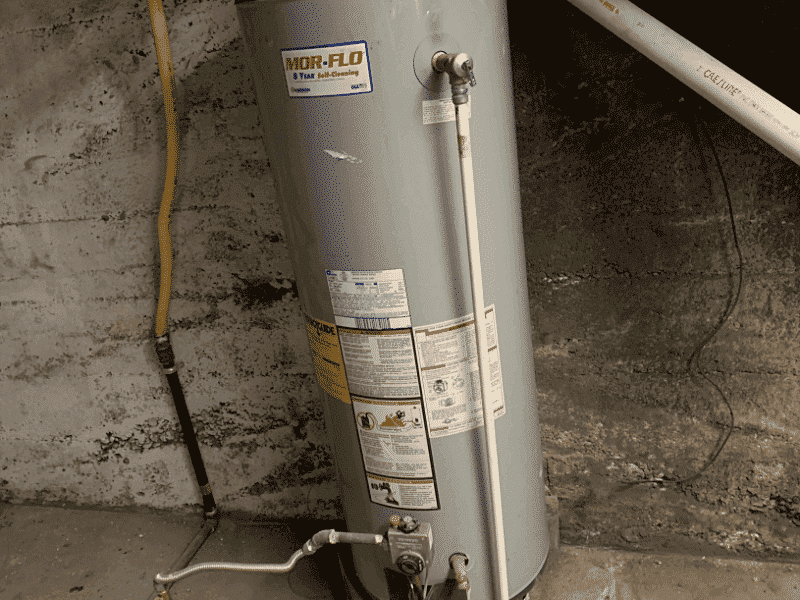 Anything blocking oxygen intake or CO2 exhaust could keep your water heater from functioning properly or worse—in some cases, CO2 can back up from the water heater and filter into your home or office. During this check also be sure you see metal mesh covering vents and openings. If you don’t, let us know and we’ll reinstall. This is particularly important if you plan on heading out of town during the holidays or at any point during the winter months—or, even, if your water heater isn’t immediately visible. Flood stop systems are installed near the water heater, hard-wired to existing electrical systems with a battery backup. From here, a sensor is dropped into the water heater pan—if water is detected, the system will shut off the supply to the unit and sound an alarm. This has helped countless users prevent floods and major water damage. Don’t wait until your pipes burst—or worse.  Get in touch to schedule a no-obligation water heater assessment and ensure your water heater is ready to brave the elements this winter.